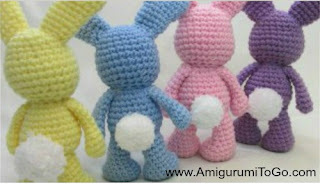 Since releasing my Valentine Teddy Bear pattern I've received numerous requests for a Bunny Valentine. I did think of it before myself. To add the ears is easy enough for sure so here you go! You'll need the Teddy Bear pattern here. Look for the green print friendly button at the bottom of the page. And of course you'll just leave out the ears and instead use the ear pattern below. the ears stand up and poseable (pipe cleaners are optional). f/o leaving a tail for sewing. Loosely fold 2 pipe cleaners in half and push the bend all the way to the top of the ear. Cut off any excess. You can add a stitch or 2 at the top of the ears to hold the pipe cleaners in place. Pin the ears in place and make sure you are happy with the placement before sewing them in. Sharon, this is way off topic but I couldn't find a way to contact you in any other way. So sorry about that. I have one question. do you have a method on your blog or know of somewhere on the web that addresses attaching legs to dolls that will enable them to sit down. IOW, somewhat floppy legs as you'd find on a rag doll. Also, I love the feet you created for Coraline and want to crochet a rag doll with those kind of feet. Seems so simple but I'm struggling to find some clear directions. Thanks so much if you're able to address this. If not, I totally understand. I just wanted to thank you for your generosity and creativity. I'm sending a small donation. Hope it helps. Thank you Barbara, I really appreciate that! owhmygoodnesss they are adorable, thank you for sharing, Bless you..! j'adore je commence et j'ai un peu de mal a traduire parfois mais je suis patiente et c'est tout simplement génial!